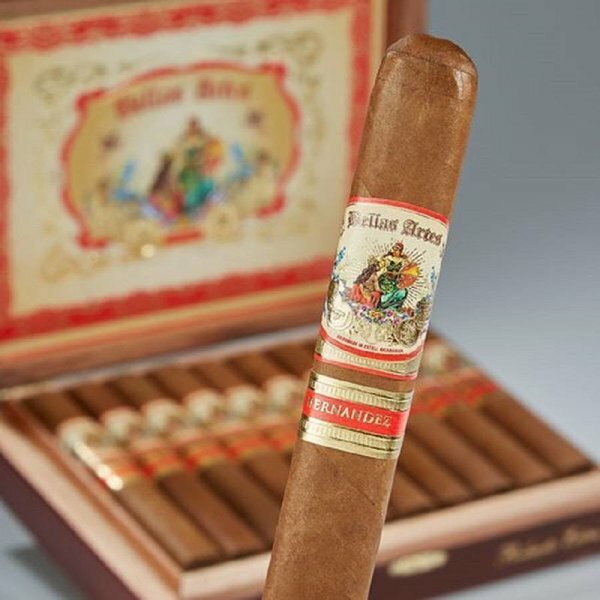 The AJ Fernandez Bellas Artes Robusto Extra is a decadent and complex cigar which stands as a true testament to the fine art of cigar making. A hybrid wrapper using the Rojita leaf, developed by AJ himself, is comprised of three distinct types of tobacco: U.S. Connecticut Shade, Corojo 99 and Havana 2000. This pays the perfect complement to the special binder from Quilali (a small, mountainous region in Nicaragua) and the premium fillers from Honduras, Nicaragua, and Brazil. This Spanish box-pressed beauty will excite your palate with notes of cream, white pepper, cinnamon, and orange peel. Truly, a cigar like no other.